JUST TO BE CLEAR, it's definitely Spring in NYC right now... right? Sunshiny and warm with a slight chill in the air. Aaaahhh, you can almost see the lightning bugs :) And don't even think about locking them in a mason jar for a live nightlight, you jerk. 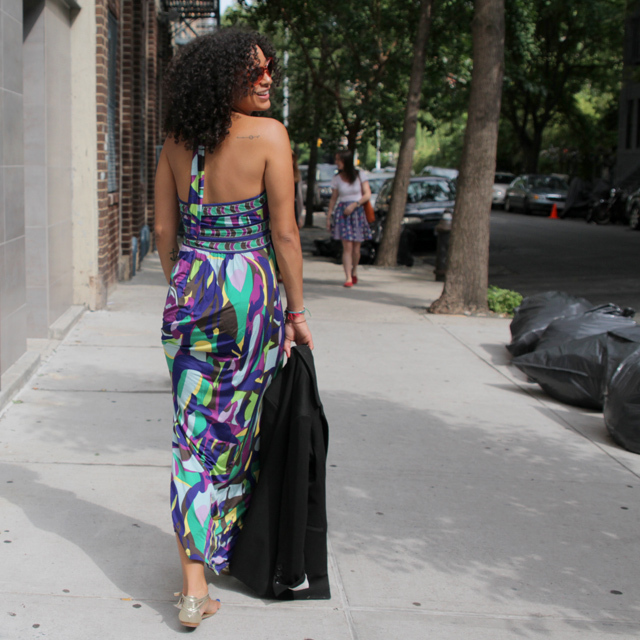 This BCBG MAXI AZRIA maxi dress actually makes my heart sing. And it sounds like cherubs. And it makes me happy. Find something colorful that makes you happy and wear it until the seams rip. Advice taken.